Recording good sound with your DSLR can be done. First, understand the built-in camera microphone is almost worthless. It can be useful if all else fails or to sync two-system sound but very little beyond that. 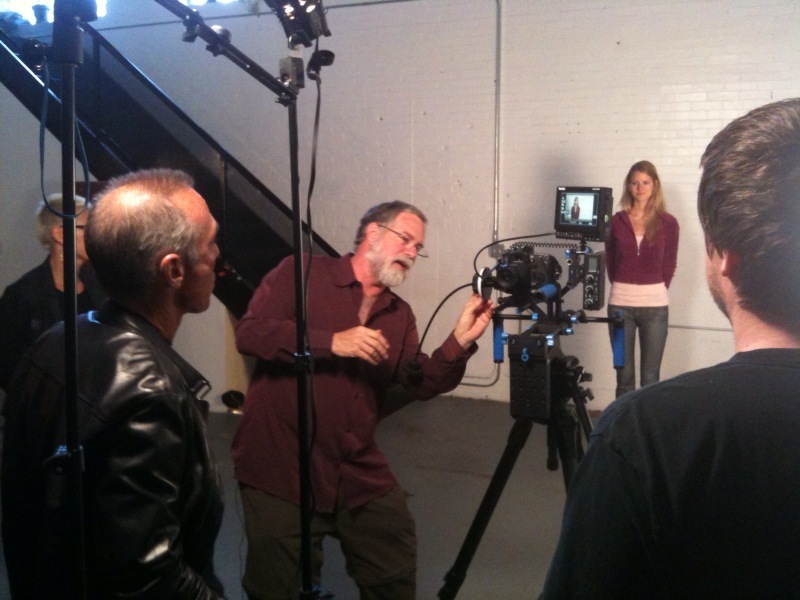 Recording sound separately (two-system) with a high quality recorder can produce great sound but comes at the cost of additional recording keeping during the shoot, turning on and off two separate systems for each shot and additional edit time even with automatic syncing software. So how to get the best sound possible with in-camera synced sound? 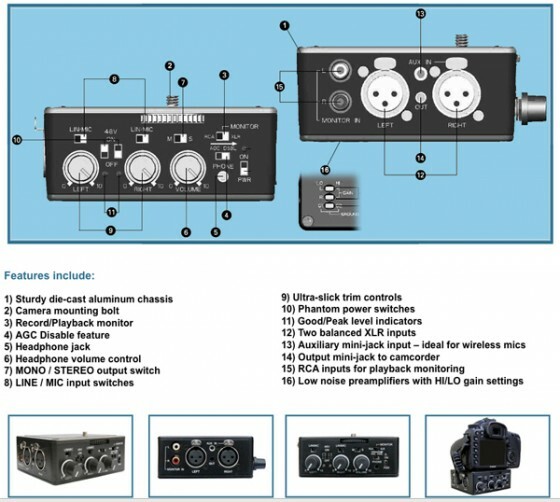 First start with a professional quality microphone like one of the Sennheiser ME series condenser microphones such as the ME66 short shotgun with the K6 power module or the EW 100 G3 wireless system. Then use a quality XLR cable to connect it to the camera. 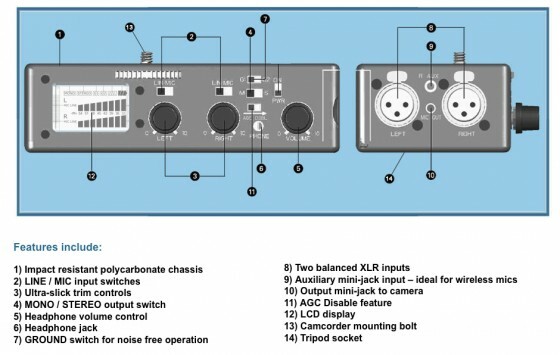 But wait, there is no XLR input on DSLRs. So to get the XLR cable to work with your DSLR you need an adapter. Both can disable the AGC and let you set the audio levels manually. So, if your microphone is a condenser type and you can power it with a battery in the microphone or inside the XLR cable the Beachtek DXA-5Da is a good choice. 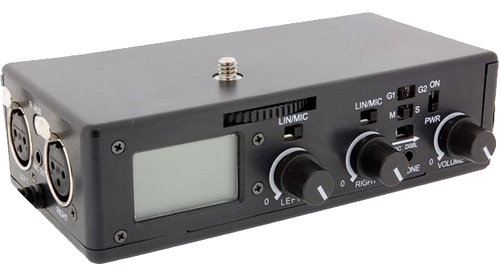 If you need to power the microphone from the adapter or to boost the amplification of a less sensitive microphone then the Beachtek DXA-SLR is the right choice. You can get more information on the Beachtek site at http://www.beachtek.com/ and Sennheiser site at http://www.sennheiserusa.com/. It’s easy to record audio if you take a few simple steps. As an extension of my Photo 29 class “Video Production for Still Photographers” in the photography department at Santa Monica College, David Missall of Sennheiser gave a seminar on recording good sounding audio for video and film. Of the many things David said that captured my attention, his suggestion about one part of listening was very intriguing. When we do our location scout, we should already know to listen as well as look to hear if there is going to be any audio capture problems. Busy street noise, school nearby, construction even air-conditioning or a noisy refrigerator can all cause problems with audio. Of course, we also look to see if we see anything that might create a problem is not happening at the time we are there like is there construction nearby that might be busy most of the day but we are scouting at 6pm in the evening. We also know that in residential areas the weekday day is probably the quietest time and corporate areas the reverse is true. Late night might be the only time for business areas although some business areas might follow the residential and corporate area sound pattern. 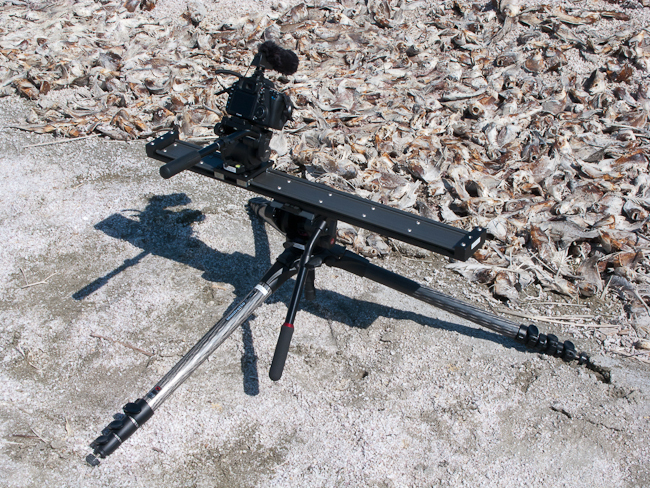 Stopping and listening to the location at the shoot is also important to pick up on any problems that might affect the audio capture at the time of the shoot. Things change and the weather might have change so now a heater or air-conditioner might be on that was not on during the scout. One of David’s suggestions that struck me was to listen to the subject to get a feeling for exactly what the subject sounds like to your own ears. Have the talent talk naturally for a few minutes. Walk around the talent and listen to how they sound. How can we expect to set the audio up right if we have not heard the subject naturally first? Once we have heard the sound we are after it will be much easier to tell if we are coming as close as possible to it. Maybe you’ll find placing the microphone closer or further away is called for to get the right sound. Maybe switching from an omni-directional to shotgun or the reverse might do the trick. A quick mention here about the Sennheiser ME series I use. It is very quick to switch from a ME62 omni-directional capsule to a ME66 shotgun capsule or any of the other ME capsules by just screwing them on the K6 power module already in the shock mount. This interchangeable saves time, space and cost as you are not buy a whole new microphone for each type of microphone, you just buy a capsule with the desired pickup pattern of omni-directional through long gun. You can find out more about Sennheiser at http://www.sennheiserusa.com/home. As I write this, the neighbor’s hound has started to howl, my black lab barks at every delivery truck that goes by and a very loud vintage biplane from the nearby airport is circling above. So good luck if you ever try and capture clean sound in my neighborhood. 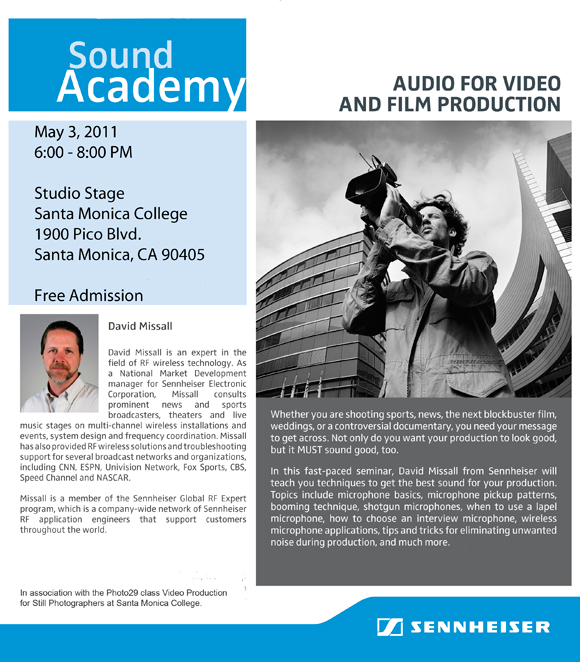 An exciting sound seminar by David Missall of Sennheiser at Santa Monica College May 3, 2011 in association with my class Photo29 Video Production for Still Photographers. As they say, sound is 50% of a production until it is bad sound and then it is 85% and the audience is very unforgiving. 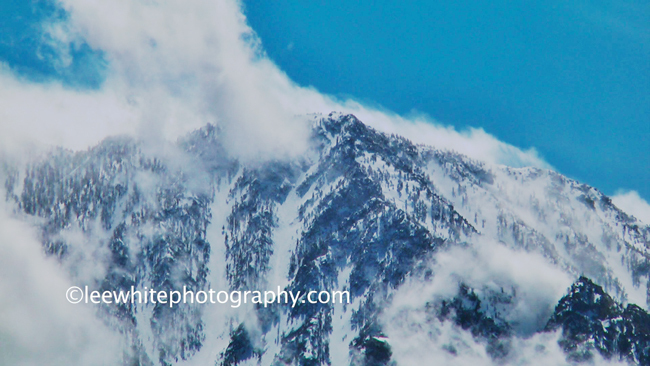 It is quite a shock to most of us photographers that picture is not always the most important part of the story. David Missall will explain the techniques and tools needed to capture good sound. 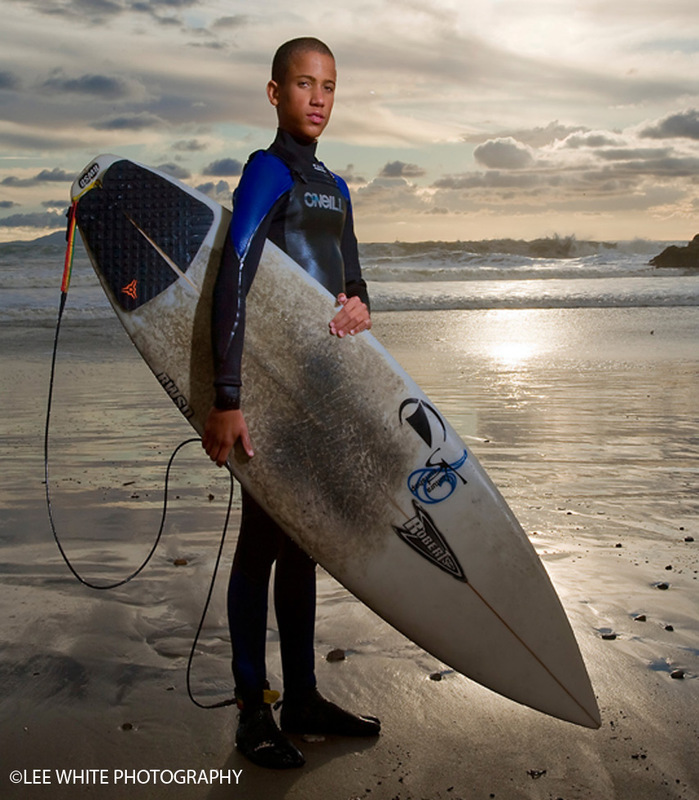 He will also share some of the tips and tricks he has learned over the years.